Lisa Quinn needs to find a dining room for Meagan's room. Meagan and her husband love to entertain, but it's not a huge space. Lisa has to find a table that will allow them to entertain without feeling too bulky. 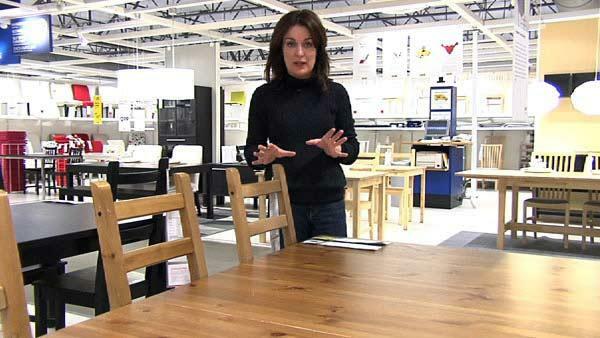 Before choosing a dining room table, remember to measure your dining room. Don't forget you will need space for the chairs and you should be able to walk around the table. A more rustic finish will hide the normal wear and tear of young family members. Clear tables take up less space visually and work well in small spaces. A round table usually takes up less space.